Environment Minister Say Sam Al on Monday said he would seek approval for a ban on the import of chainsaws in a bid to tackle the country’s persistent illegal logging trade. 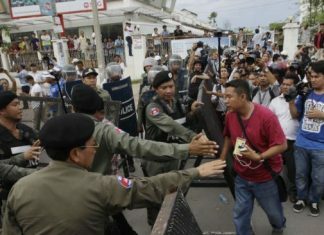 Mr. Sam Al announced his plans during a morning meeting at the ministry, where about 300 national and provincial government officials had gathered with nongovernmental groups and diplomats to discuss ways to combat the destruction of Cambodia’s natural resources, including its forests. Prey Lang is the largest lowland evergreen forest left in Southeast Asia and was designated a protected area in April last year, after years of lobbying by communities and NGOs worried that loggers and surrounding agribusiness plantations would soon wipe it off the map. Disappointed by the government’s efforts to protect the forest, villagers living in and around it have formed the Prey Lang Community Network to help save the forest themselves. After the meeting, network member Chea Sok Hoeun said he was happy to hear the minister’s plans, but added that he should go further and act on the thousands of chainsaws being used now by illegal loggers, plantation owners included. “We are worried that some companies are using the chainsaws on their [plantations] and the government should carefully check and confiscate the chainsaws the companies use to cut down trees illegally,” he said. 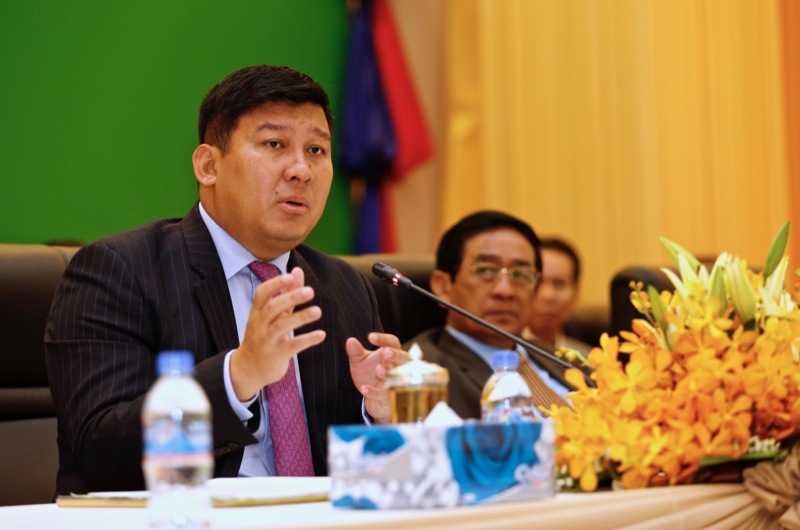 Finance Ministry spokesman Meas Soksesan said Mr. Sam Al’s plan would be carefully considered. “[I]f we find that the deforestation is caused by chainsaws, we will consider whether to stop or reduce the number of chainsaws that are imported,” he said. Many conservation and environmental rights groups have accused the government of doing little to curb Cambodia’s deforestation rate, which is among the highest in the world. Mr. Sam Al has insisted that a crackdown on illegal logging in eastern Cambodia—started a year ago in conjunction with a ban on all timber exports to Vietnam—has taken hold, a fact disputed by some NGOs. Latt Ky, head of the land and natural resources program for rights group Adhoc, said an import ban on chainsaws would make little difference unless the government took a much firmer stance against offenders. “I don’t think that stopping chainsaw imports is a good measure; forest crime continues because the government never takes action to arrest the loggers,” he said.